Design excellence in a map may not be simply because it looks pretty or that one might suggest it has some sense of aesthetic value. In fact, this impression of beautiful cartography often irritates because design is about much more than how a map looks. It’s about getting the form correct, but in concert with the function. A pleasing map to look at will not necessarily be a well designed map. And so the converse is true. This map, dating back to the Chinese Song Dynasty (960-1279) and being made in c.1136 might not be considered particularly pleasing to look at. It is, however, perhaps the most important Chinese map ever produced. The title translates to ‘Maps of the Tracks of Yu’ (tu being Chinese for map) and is taken in honour of the Chinese ruler Yu the Great. The map, carved in stone, is remarkable in design terms for a number of reasons. Firstly, it’s depiction of the Chinese coastline is extremely accurate for a map of this size and scale. It measures 3ft square and the map’s most important contribution to cartography is that it was the first to use a grid to denote scale. 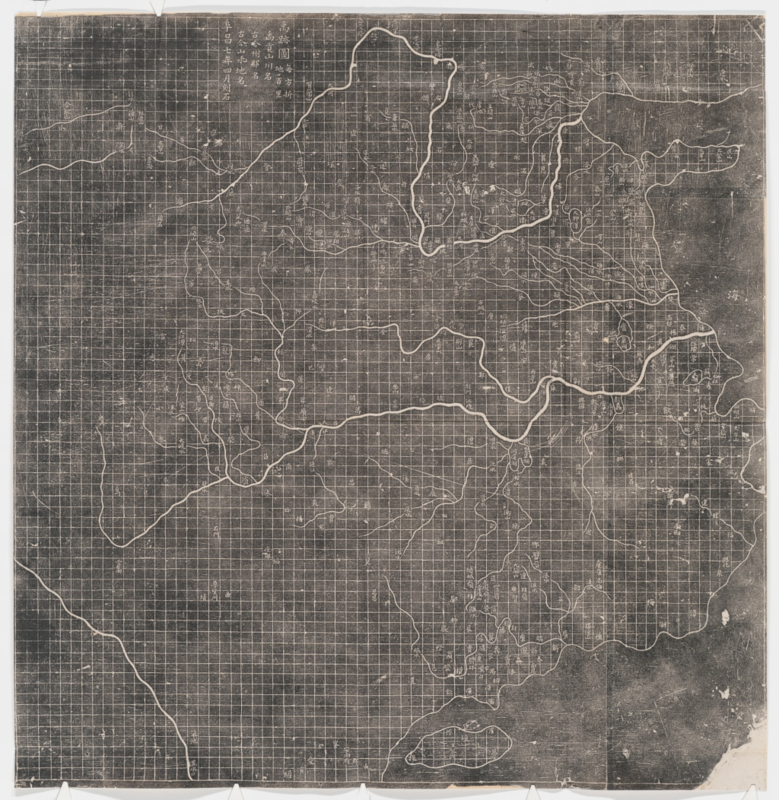 There are approximately 5000 grid squares, each measuring 100 Chinese li (approx 30 miles) so the map is at a scale of approximately 1:4,500,000. 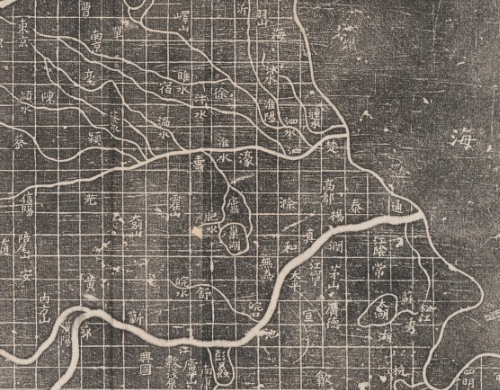 However, the claim of accuracy of topographic detail and scale belies another facet of the map in that it is used as a canvas upon which Chinese mythology is depicted. The origin of the Yellow river is given as sources named by Yu the Great and the legend mixes detail that acknowledges the past and present…meaning it’s part fact and part fiction. On the face of it, a bland map carved in stone but it’s design is important in cartographic history. Follow the Commission on Map Design by subscribing to receive weekly email updates.